Several updates were recently made to the iOS Filepicker library, so we thought we’d go over a few of the important changes we’ve made. 90% of these changes were based on issues reported by GitHub users. Thanks to everyone for your support and for helping us build a better Filepicker! Standard iOS Picker: The default iOS picker that comes with your device allows you to upload local files from your photo album. You can also take videos or photos from your camera inside the app and upload them. Filepicker: The biggest benefit of using Filepicker in your iOS app is being able to upload any file from dozens of external cloud services like Dropbox, Box, Google Drive, Evernote, and more. Whether local sources on your phone, or sources from your cloud providers, Filepicker makes it easy to upload any type of file to your device. All of the code in the Filepicker library was updated to use modern Objective-C syntax and some classes were refactored. As of version 3.0, Filepicker has excellent support for the user interfaces on iOS 6, iOS 7 and later. Another new aspect we introduced is CocoaPods support. CocoaPods is the most efficient way to distribute your libraries in a centralized repository. With CocoaPods, Filepicker is encapsulated in one line of code. It’s the easiest way to get Filepicker in your iOS application. 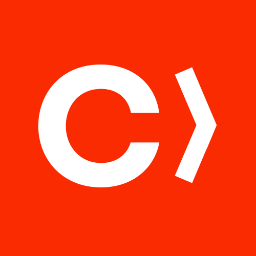 Prior to CocoaPods, users had to copy the framework and bundle it into their project (which we still also support). However, integrating your library is much easier with CocoaPods. You can find CocoaPods installation instructions here. In addition, we upgraded to modern AFNetworking. This makes it easy for users to log in with iPhone 4, for instance. For those curious about what AFNetworking does, it’s the library powering HTTP networking. Everything depends on it, so this was an important change. Prior to this update, videos or images were fully loaded into memory before they were uploaded, and videos could be potentially larger than the memory available on a device. Now, the contents from those large files are streamed from the disk and uploaded in chunks when possible. This important fix increases the speed with which users can upload files, and also allows them to upload files that are larger than the amount of memory on their phones. Some of our customers requested changes to uploads from Google Drive. We’ve made improvements that provide more stability to this process. 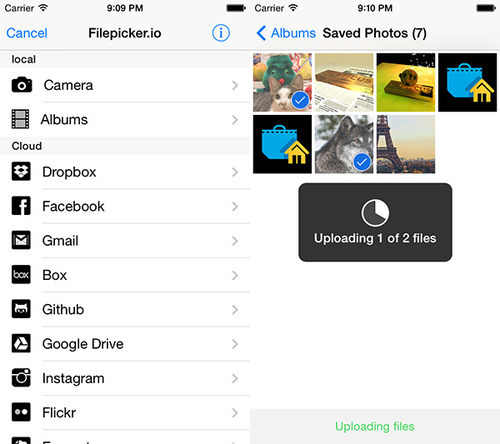 Now that Filepicker fully supports iOS 6, we’re working on new features for iOS 7 and iOS 8. If you’re using Filepicker to develop an app using iOS 7 and iOS 8, please get in touch with us so we can do a case study. If you have any suggestions for improving Filepicker on iOS, or you’re just stoked about it, give us a shout! We love to hear from our customers!